Video game journalism is a branch of journalism concerned with the reporting and discussion of video games, typically based on a core "reveal–preview–review" cycle. There has been recent growth in online publications and blogs. Tokuma Shoten Publishing Co., Ltd. is a publisher in Japan, headquartered in Shinagawa, Tokyo. The company was established in 1954 by Yasuyoshi Tokuma in Minato, Tokyo. The company’s product portfolio includes music publishing, video game publishing, movies, anime, magazines, manga and books. Enterbrain (エンターブレイン), formerly Enterbrain, Inc., is a Japanese publisher and brand company of Kadokawa Corporation founded on January 30, 1987 as ASCII Film Co., Ltd.. Magazines published by Enterbrain are generally focused on video games and computer entertainment as well as video game and strategy guides. In addition, the company publishes a small selection of anime artbooks. Enterbrain is based in Tokyo, Japan, with a paid-in capital of 410 million yen. Enterbrain's current president is Hirokazu Hamamura. The name Famitsū is a portmanteau abbreviation of Famicom Tsūshin; [lower-alpha 8] the word "Famicom" itself comes from a portmanteau abbreviation of "Family Computer" (the Japanese name for the Nintendo Entertainment System)—the dominant video game console in Japan during the 1980s. The first issue was published on June 6, 1986. Today, Shūkan Famitsū features multi-platform coverage. Shūkan Famitsū is a weekly publication concentrating on video game news and reviews, and is published every Thursday with a circulation of 500,000 per issue. Gekkan Famitsū is published monthly. Susumu Matsushita is a Japanese manga artist known for his unique American comic–influenced design. His most famous works are the designing of the mascot Neppe of Orix Buffaloes, Motor Toon Grand Prix, Hudson's Adventure Island series, Monkey Magic and the Maximo: Ghosts to Glory concept arts. 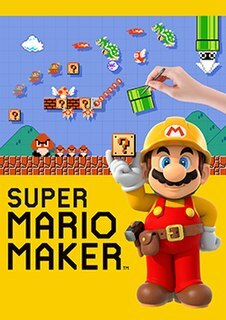 Super Mario Maker is a side-scrolling platform game and game creation system developed and published by Nintendo for the Wii U game console, which released worldwide in September 2015. Players are able to create and play their own custom courses, based on Super Mario Bros., Super Mario Bros. 3, Super Mario World and New Super Mario Bros. U, share them online, and download and play courses designed by other players. It was a celebration of the 30th anniversary since the release of Super Mario Bros. in 1985. Entamikusu [lower-alpha 12] (previously Otonafami [lower-alpha 13] ) is written for an older audience and covers retrogaming. It has been published monthly since November 2010. Famitsū Connect! On [lower-alpha 14] reports on online gaming. Famitsū DS+Wii [lower-alpha 15] reports on Nintendo platforms (currently the Nintendo 3DS and Nintendo Switch). The magazine was formerly known as Famitsū 64 and then Famitsū Cube (among other variations of those two names) based on whatever platforms Nintendo was producing games for at the time. Famitsū GREE [lower-alpha 16] reports on mobile gaming via GREE. Famitsū Mobage [lower-alpha 17] reports on mobile gaming via Mobage. Retrogaming, also known as classic gaming and old school gaming, is the playing or collecting of older personal computer, console, and arcade video games in contemporary times. Usually retrogaming is based upon systems that are obsolete or discontinued. The Nintendo Switch is a video game console developed by Nintendo and was released on March 3, 2017. It is a hybrid console that can be used as both a stationary and portable device. Its wireless Joy-Con controllers, which include standard buttons and directional analog sticks for user input, motion sensing, and high-definition tactile feedback, can attach to both sides of the console to support handheld-style play. They can also connect to a Grip accessory to provide a traditional home console gamepad form, or be used individually in the hand like the Wii Remote and Nunchuk, supporting local multiplayer modes. The Nintendo Switch's software supports online gaming through standard Internet connectivity, as well as local wireless ad hoc connectivity with other Switch consoles. Nintendo Switch games and software are available on both physical flash-based ROM cartridges and digital distribution via Nintendo eShop; the system does not use region locking. As an eighth-generation console, the Nintendo Switch competes with Microsoft's Xbox One and Sony's PlayStation 4. Famitsū Bros. [lower-alpha 18] (previously Famicom Tsūshin Kōryaku Special) was written for younger audiences and concentrated on video game hints and strategy. It was published monthly and went defunct in September 2002. Famicomi [lower-alpha 19] (previously Famitsū Comic) was a comic and manga magazine published irregularly between 1992 and 1995. Famitsū DC [lower-alpha 20] reported on Sega platforms news and covered the Dreamcast. Previous incarnations of this magazine included Sega Saturn Tsūshin which covered the Sega Saturn, with earlier issues covering earlier Sega platforms. Famitsū Sister [lower-alpha 21] covered bishōjo games. Satellaview Tsūshin [lower-alpha 22] covered the Satellaview. It was published monthly and ran for only 12 issues from May 1995 to May 1996. Its inaugural issue was the May 1995 issue of Gekkan Famicom Tsūshin. Virtual Boy Tsūshin [lower-alpha 23] covered the Virtual Boy. Only one issue was ever published in 1995. Famitsū PS [lower-alpha 24] (previously PlayStation Tsūshin) began publication in May 1996, and reported on Sony platforms news. It was later known as Famitsū PS2 and Famitsū PSP+PS3 before being discontinued in March 2010. Famitsū Wave DVD [lower-alpha 25] (previously GameWave DVD) covered events, film, and previews. Each magazine included a DVD disc (NTSC Region 2) with video game footage. It was published monthly and went defunct in May 2011. Famitsū Xbox 360 [lower-alpha 26] reported on Xbox and Xbox 360 news. It went defunct in 2013. Video games are graded in Famitsū via a "Cross Review" in which a panel of four video game reviewers each give a score from 0 to 10 (with ten indicating the best game). The scores of the four reviewers are then added up for a maximum possible score of 40. From the twenty-four games awarded with a perfect score as of 2017 [update] , three are for the Nintendo DS and five are for the Wii. The PlayStation 3 also has five games with a perfect score and the Xbox 360 has four, with both consoles having four titles in common. The others are for different platforms with only one title each. Franchises with multiple perfect score winners include The Legend of Zelda with four titles, Metal Gear with three titles, and Final Fantasy with two titles. The most recent game to receive a perfect score is Dragon Quest XI . ↑ Japanese:週刊ファミ通 ? , lit. "Weekly Famitsū"
↑ Japanese:ファミコン通信 ? , lit. "Famicom News"
↑ Japanese:週刊ファミコン通信 ? , lit. "Weekly Famicom News"
↑ Japanese:月刊ファミコン通信 ? , lit. 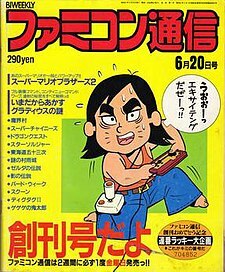 "Monthly Famicom News"
ASCII (アスキー) was a monthly released microcomputer magazine in Japan, published by ASCII Corporation from 1977. It targeted for business users who used a personal computer in their home and office, but it sometimes introduced computer games and computer musics. It was also known as the Monthly ASCII (月刊アスキー) written along with the title from Vol. 2 No. 4, and distinguish with the Weekly ASCII (週刊アスキー) founded in 1997. The ASCII was rebranded as the Business ASCII (ビジネスアスキー) in 2008, and ceased in 2010. Its news website and the Weekly ASCII are continuing as in 2016. Arc System Works Co., Ltd. is a video game developer and publisher based in Yokohama, Japan. 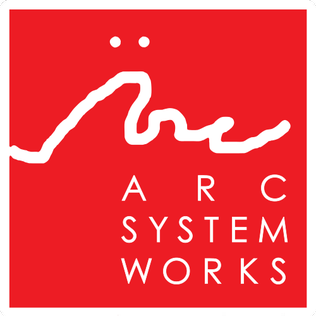 Founded by Minoru Kidooka in 1988, Arc System Works is known for its arcade 2D fighting game franchises, Guilty Gear and BlazBlue, as well as other licensed-based fighting games from Shueisha/Shonen Jump's Dragon Ball and Atlus's Persona 4 Arena. Whomp 'Em, the North American version of the Japanese game Saiyūki World 2: Tenjōkai no Majin(西遊記ワールド2 天上界の魔神, lit. "Saiyūki World 2: Evil Spirit of Heaven") (1990), is a platform video game released on the NES in March 1991. Summer Carnival '92: Recca, commonly referred to as Recca, is a 1992 scrolling shooter video game developed by KID and published by Naxat Soft for the Family Computer. Famicom Wars is a wargame produced by Nintendo. It was released on August 12, 1988 for the Family Computer in Japan. It was later re-released on Virtual Console. It is the first game in the Wars series. Hect (ヘクト) or Hector was a Japanese video game developer and publisher. It was developing a game, Virtual Battle Ball for the Virtual Boy, eventually canceled. Assault Suit, also known as Assault Suits, is a series of futuristic robotic war video games developed by NCS featuring soldiers manning the eponymous gigantic humanoid mecha. Spanning the course of 15 years and beyond, the games would be cross-distributed, cross-published and developed between the U.S. and Japan. It would be known as one of the most challenging series to follow due to the drastic changes from game to game. Metal Max is a video game series, originally created in 1991 by video game designer Hiroshi Miyaoka's company Crea-Tech in collaboration with Data East, with the latter being also the publisher of the series. Due to the bankruptcy of Data East and trademark problems, some titles were released by Success co. under the title Metal Saga. Since the trademark issue was resolved by Enterbrain, some games in the series has been released under the title Metal Max again. Karnov's Revenge, also titled Fighter's History: Dynamite in Japan, is a 1994 fighting game developed by Data East, released for the Neo Geo. It's the second game in the Fighter's History series. The game was later ported to the Neo Geo, Neo Geo CD and Sega Saturn home consoles. Wonder Project J: Kikai no Shōnen Pīno is a Japan-exclusive video game published by Enix for the Super Famicom in 1994. Akira (アキラ) is a 1988 adventure game 1988 by TOSE for the Famicom console exclusively in Japan. It is based on Akira, the 1988 animated film version of Katsuhiro Otomo's manga, Akira. Dragon Slayer: The Legend of Heroes is a role-playing game developed by the Nihon Falcom. It is the sixth game in the Dragon Slayer line of games, and the first in The Legend of Heroes series. Rendering Ranger R2 (レンダリング・レンジャーR2 (ダブルアール)) is a 1995 side scrolling action video game developed by Rainbow Arts and published by Virgin Interactive for the Super Famicom. Kendo Rage, known in Japan as Makeruna! Makendō, is an action video game for the Super Nintendo Entertainment System/Super Famicom by Datam Polystar. Seta U.S.A. published the English version. Tetris 2 is a video game published in 1993 and 1994 by Nintendo for the Game Boy, Nintendo Entertainment System and Super Nintendo Entertainment System. The Japanese video game magazine Famitsū assigns scores to video games by having four reviewers each give a score from 0 to 10. The scores of the four reviewers are then added up for a maximum possible score of 40. From the twenty two games awarded with a perfect score as of 2016, three are for the Nintendo DS and five are for the Wii. The PlayStation 3 also has five games with a perfect score and the Xbox 360 has four, with both consoles having two titles in common. The others are for different platforms with only one title each. Franchises with multiple perfect score winners include The Legend of Zelda with four, Metal Gear with three, followed by Dragon Quest and Final Fantasy with two. Cocoron is a 1991 video game developed by K2 and published by Takeru for the Famicom. A version for the PC Engine was announced, but was not released. Hoshi wo Miru Hito is a 1987 Japanese video game for the Famicom home console. Developed by Another and published by HOT B, it is based on the 1984 video game Psychic City. The game is a science fiction role playing video game where players use psychic powers to defeat enemies. 1 2 "Enterbrain Brand Information" (in Japanese). Enterbrain . Retrieved 2015-05-01. ↑ Tor Thorsen (2006-03-08). "FFXII gets perfect score from Famitsu". GameSpot . Retrieved 2006-06-09. ↑ Steve Kalpaxidis (2005-07-01). "PS3 To Come Without Bundled HDD?". Advanced Media Network. Retrieved 2006-06-09. ↑ Rodney Quinn (2006-03-09). "Final Fantasy XII scores perfect 40/40 in Famitsu reviews". Ars Technica . Retrieved 2006-06-09. ↑ "週刊ファミ通（電子版）が10月28日から販売スタート！ - ファミ通App". www.famitsu.com. Retrieved 2015-12-10. ↑ Martin Picard (December 2013). "The Foundation of Geemu: A Brief History of Early Japanese video games". International Journal of Computer Game Research. 13 (2). Retrieved 19 November 2016. ↑ Ashcraft, Brian. Gaming Magazine Totally Snubs Xbox 360!? Archived 2009-05-05 at the Wayback Machine . Kotaku. 4 February 2008. ↑ Gifford, Kevin. 'Game Mag Weaseling': Japan Mag Roundup 2008 . GameSetWatch. 27 April 2008. ↑ 'Necky the Fox' 今も尚輝き続ける松下進の代表的キャラクター . SusumuMatsushita.net. 10 July 2004. ↑ Gifford, Kevin. Weekend Factyard: Famitsu/Famicom Tsushin MagWeasel. 19 September 2009. ↑ Calvert, Darren. "Super Mario Maker DLC Confirmed, Famitsu's Mascot Necky The Fox Coming Soon". Nintendo Life. Gamer Network. Retrieved 9 September 2016. ↑ "MCV launches daily service". Intent Media. 2007-02-26. Retrieved 2007-03-14.